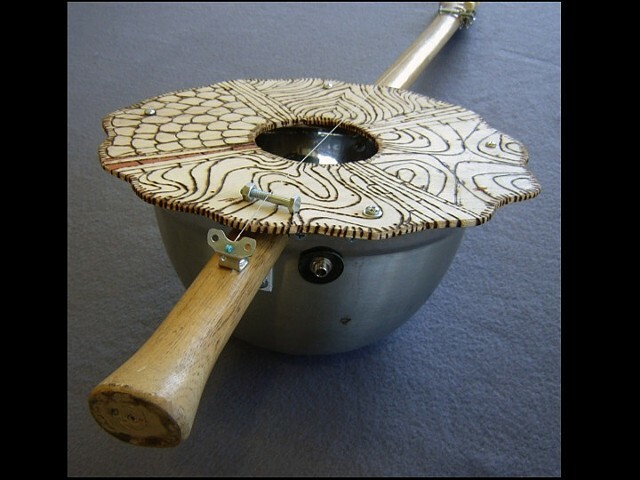 With this assignment students are required to use found/recycled objects to create a musical instrument. All students are supplied with a piezo pickup and an amplifier jack, so that their instrument can be hooked to an electric amplifier and played. Students use a variety of hand tools and fasteners (glue, screws, bolts, etc.) to attach their various materials; half of the challenge of this assignment is creating an object that doesnt fall apart when handled.